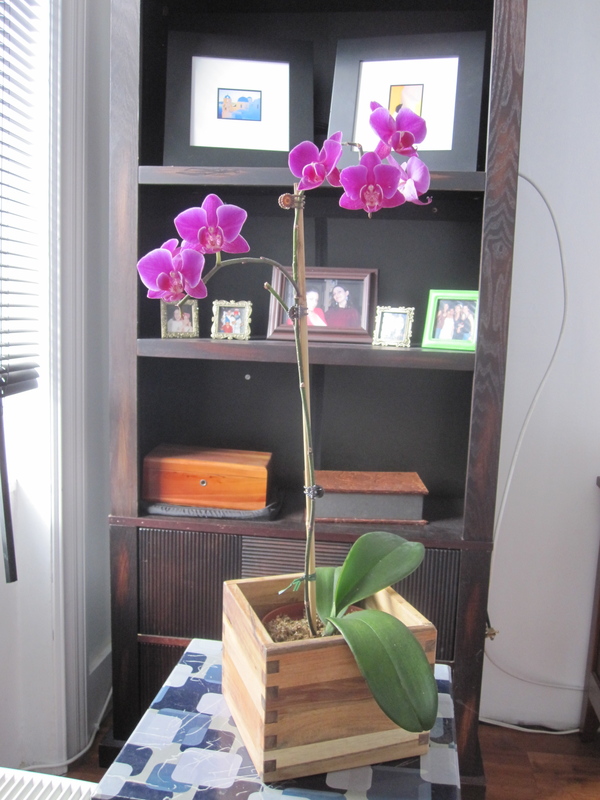 Last summer I bought a Phalaenopsis at Ikea in Red Hook that turned out to be 2 plants potted together. It took me a couple weeks to realize that there were actually 2 orchids because I didn’t immediately check the roots or repot them. I had read online that planting 2 orchids together is not recommended, so I split them up. Oddly, its condition hasn’t really worsened over time. The orchid has looked like this for months, which actually gives me some hope that it’s salvageable. I read up on ways to try to save an orchid that is in bad shape like this one, and I came across what’s referred to as the “sphag-n-bag” technique. 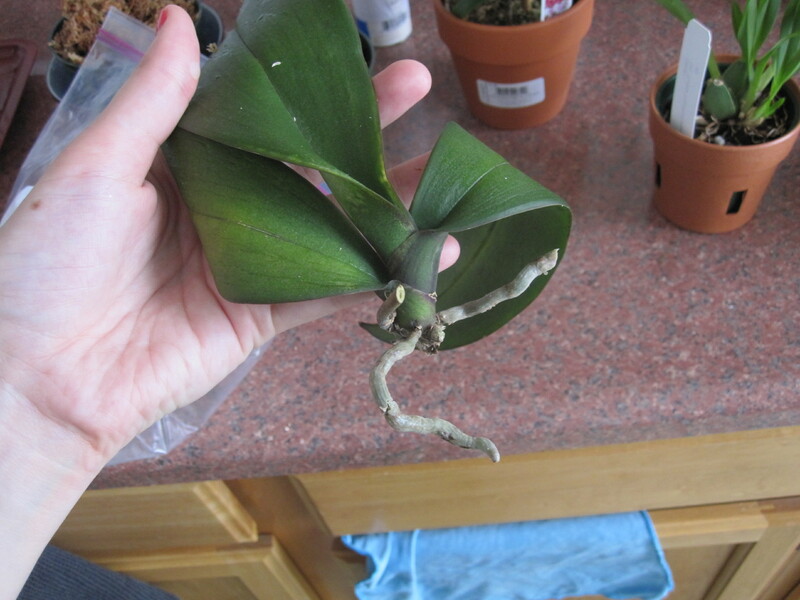 Apparently this technique can be used on orchids that are in even worse shape than mine – basically, when there are no healthy roots left whatsoever, as opposed to a couple wimpy roots. So yesterday I decided to go for my first sphag-n-bag attempt. Following the instructions found here, I removed the plant from its pot and pulled off all of the sphagnum moss that was sticking to it. I then rinsed the roots and trimmed off portions that looked rotten. I skipped the part about soaking the roots in rooting hormone, because I don’t have any. According to some, that step isn’t necessary. Then I placed some damp sphagnum moss in one corner of a large Ziploc bag and placed the limp orchid in the other corner, not in contact with the sphagnum. I sealed the baggie and put it in a warm, shady place as the instructions stated. So…we will see where this takes us. The orchid has been in such bad shape for awhile but seems to be hanging on, so maybe the sphag-n-bag will help. And if not, at least I can say that I tried.